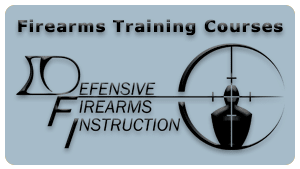 Oregon concealed handgun courses and licensing is another focus of Defensive Firearms Instruction. We pride ourselves in offering in-depth concealed handgun training courses which are current with the laws, rules, and regulations regarding carrying a concealed handgun in Oregon and several other States. What sets our concealed handgun courses apart from many other instructors is our attention to detail. You may be able to take an online concealed handgun course or sit through a one or two hour lecture. However by not receiving quality instruction you are exposing yourself civil and criminal liability. The amount of practical information you will receive from a course taught by one of our instructors will aid you in confidently making the right choice in a life or death situation. 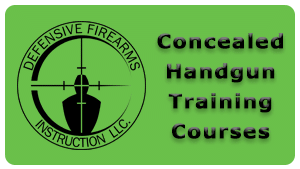 We have regularly scheduled concealed handgun courses listed on our training calendar. Private concealed handgun courses are available for a minimum of five people with advance notice.